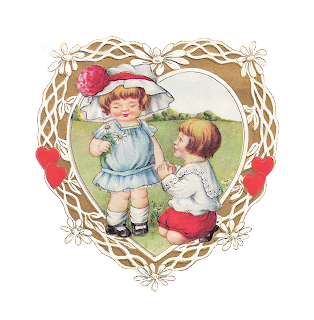 This is such a sweet vintage Valentine. 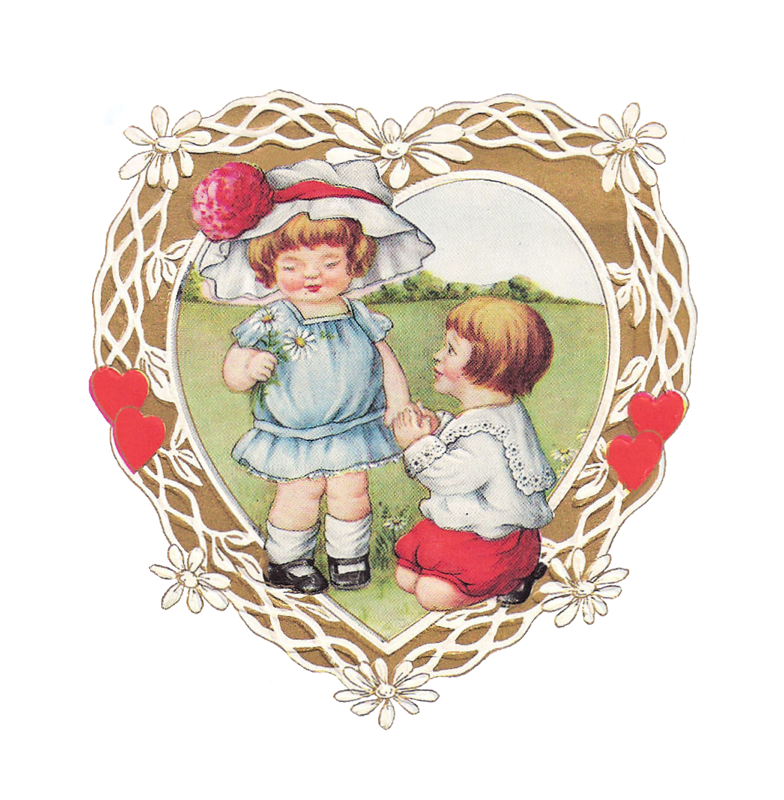 This is a vintage Valentine's Day greeting card with an adorable, little couple and daisies. The gold heart design around the couple is beautiful, and I wish I could have cropped it out, but there too many other wonderful elements against allowing that. 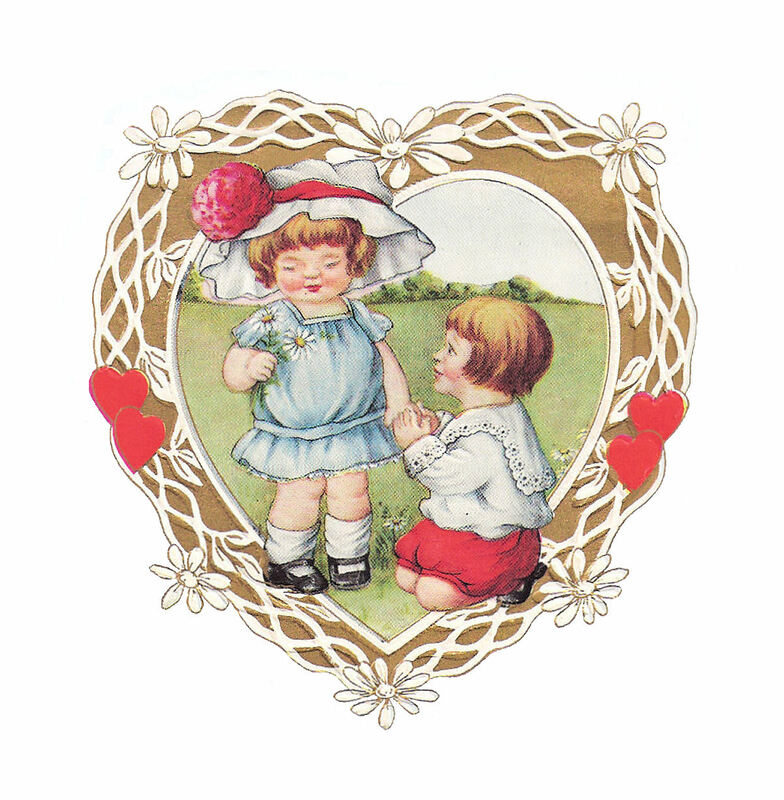 But, it's still a lovely image. I've given you both the .jpg and .png files. I hope you enjoy!